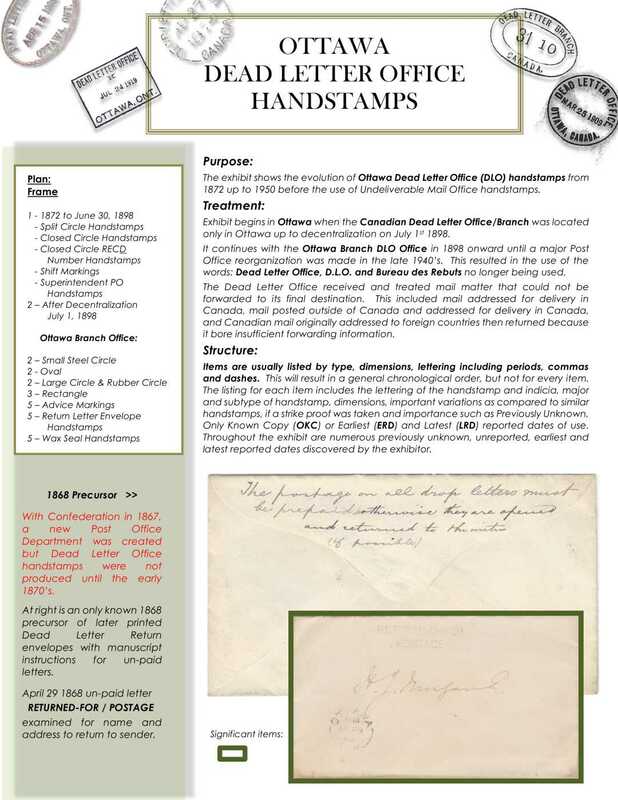 This exhibit shows the evolution of Ottawa Dead Letter Office (DLO) handstamps from 1872 up to 1950 before the use of Undeliverable Mail Office handstamps. The exhibit was shown at ORAPEX 2013, Ottawa, ON, where it won Gold and the BNAPS Best Researched BNA Exhibit. It was also shown at BNAPEX 2016, Fredericton, NB, where it won Gold and the Ed and Mickey Richardson Award. Copyright © 2018 Gary W. Steele.